People Dancing provides the fullest list of jobs in the community dance sector. Here you can browse the current list of vacancies. Want to keep ahead of the game? To subscribe to the Jobs e-newsletter and get vacancies emailed to you go to the Subscribe to updates page. Got a vacancy you want to fill? Post your vacancy online here. Shobana Jeyasingh Dance are looking for an enthusiastic and experienced Learning Manager to join the team (maternity cover). The CDMT wishes to appoint a Recognised Awards and Administrative Officer, working on a five days a week basis, starting on an initial 12 month contract. Dancefest is looking to appoint an Executive Producer to work in partnership and close collaboration with the Artistic Director and Board, to create the organisation’s strategic plan and develop a compelling vision for the organisation. Adrenalindance are looking for a professional Contemporary /creative teacher /dance artist with proven experience of working with young children . Our emphasis is on participation , “ everyone can dance “ and our classes are based in a dynamic community centre with an enthusiastic group of children, we are not a franchise. 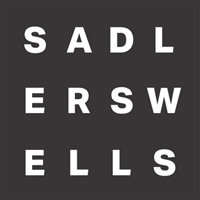 Sadler's Wells will be hosting a Freelance Dance Artist recruitment day that will be spilt into a morning workshop focusing on primary and secondary schools work and an afternoon workshop focusing on SEN and over 60s work. Pioneer Dance are seeking to appoint a freelance dance teacher to deliver high quality teaching in the Primary and Youth Dance Sector.